Don't Panic!! 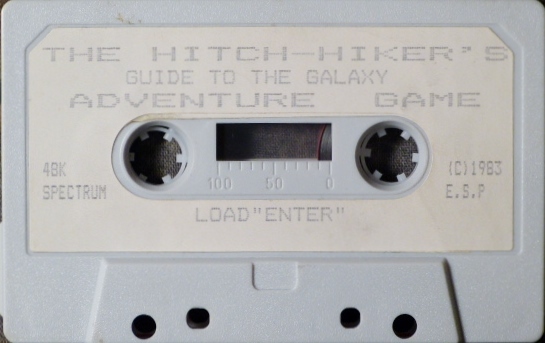 This is possibly the earliest game based on Douglas Adams' epic 'trilogy in four parts'. It definitely predates Infocom's game but due to low sales is essentially unknown.